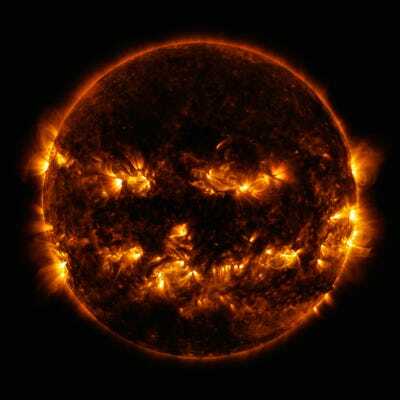 The sun is the source of all life on Earth. It will also doom our feeble planet within about 1 billion years. Until then, while the sun is still technically on our side, we’ll have to worry about giant storms of charged particles that our star burps off its roiling, plasmatic surface. Humanity first learned about geomagnetic storms the hard way during the 1859 Carrington Event. That’s when our then-newfangled electrical systems shocked us, shot sparks out of pylons, and lit telegraph papers on fire. Today, those aberrant currents can overload, disrupt, or fry our most coveted modern technologies, including satellites and mobile phone communication. 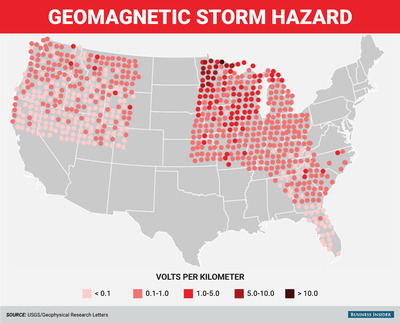 While the most persistent threat is to our electrical power grids, a new mapping effort by the US Geological Survey (USGS) shows how the hazards of geomagnetic storms are not the same all over Earth. “Power grids are grounded, so they can pick up electric fields generated deep inside the Earth. But that geoelectric activity depends on the geology, and that’s different from one region to the next,” Jeffrey Love, a research physicist at USGS and leader of the new study in Geophysical Research Letters, told Business Insider. At the center of the study is a new map of the hazards posed by geomagnetic storms of a strength that scientists expect to occur every 100 years — five times more frequently than “500-year” storms like the Carrington Event. The map (below) is missing major regions, since the survey work that helped make it is not complete. Meanwhile, the US government expects such storms could inflict $2 trillion worth of damage and a recovery effort that might drag out for months or years. The map above shows where a geomagnetic storm’s on-the-ground risk is the greatest in the US. The darker the shade of red dot, the more electricity the ground will generate and conduct voltage into the power grid. 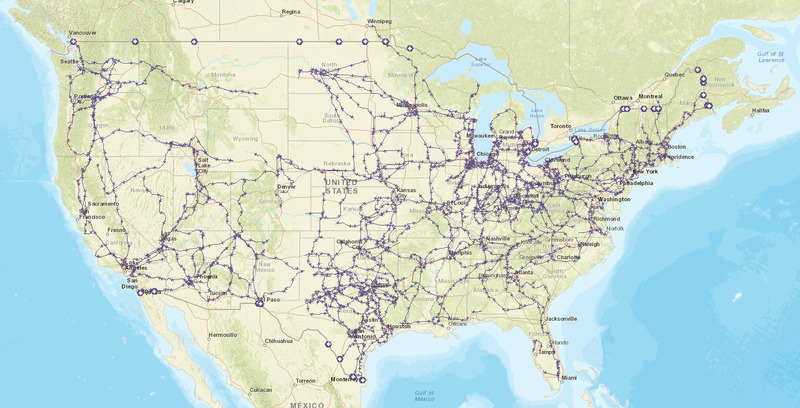 Grey areas show where there is not yet enough data to map a geoelectric hazard. First, power transmission lines can extend for dozens or even hundreds of miles, so the voltage adds up. Second, the voltage fluctuates as wildly as the geomagnetic storm that’s causing it in the ground. When power transformers do go down, the damage is rarely isolated; disruptions can ripple across power grids and cause catastrophe. For example, during the last major geomagnetic storm experienced by Earth in 1989, the entire Canadian province of Quebec went dark when a critical Canadian hydroelectric plant went down. Nearly 100 US electrical utilities connected by grid to the plant were disrupted as a result. Meanwhile, GPS signals — which guide aeroplanes — were also lost for about 10 minutes, and auroras (caused by solar particles slamming into Earth’s atmosphere) raced as far south as Cuba. “We’ve found a lot of areas in the US that could exceed that voltage,” Love said. 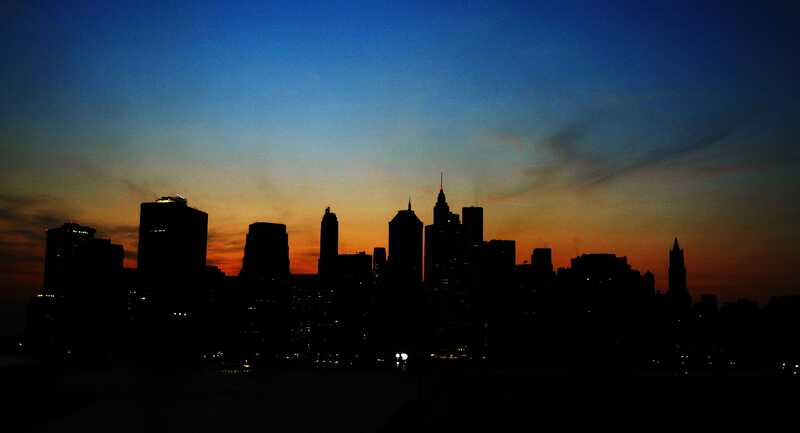 Robert Giroux/Getty ImagesNew York City’s skyline goes dark after the northeast blackout of 2003. One was several decades’ worth of geomagnetic storm measurements, taken by monitoring stations all over the nation. The other was an ongoing “magnetotelluric” survey. During a magnetotelluric survey, crews stick big electrodes into the soil, record the signal with recording machines, and move the stations over a large area for several weeks. The data they pick up reveals how rock layers, the water table, and other factors deep underground affect the conductivity of that region — and, in concert, how much electricity a geomagnetic storm can induct there. Love said large regions of the map are empty because there’s currently no congressionally approved plan to map the US Northeast. Love’s concern for mapping the US Northeast is well-founded. When hot weather drove up electrical demand in August 2003, and transmission lines sagged into overgrown trees, 55 million people lost power for days. Sewage treatment plants went offline, railways suspended service, gas stations couldn’t pump fuel, and mobile communications were disrupted. Love estimates it’d take a year and about $500,000 to hire crews to fill in New England and surrounding regions on the new map. What’s the deal with Minnesota? 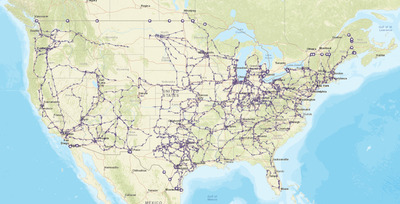 US Energy Information AdministrationA map of all the major electrical power transmission lines in the United States. Love says this is due to “complex” geology in the region, plus the fact that planet’s magnetic fields funnel high-energy solar particles toward Earth’s poles. 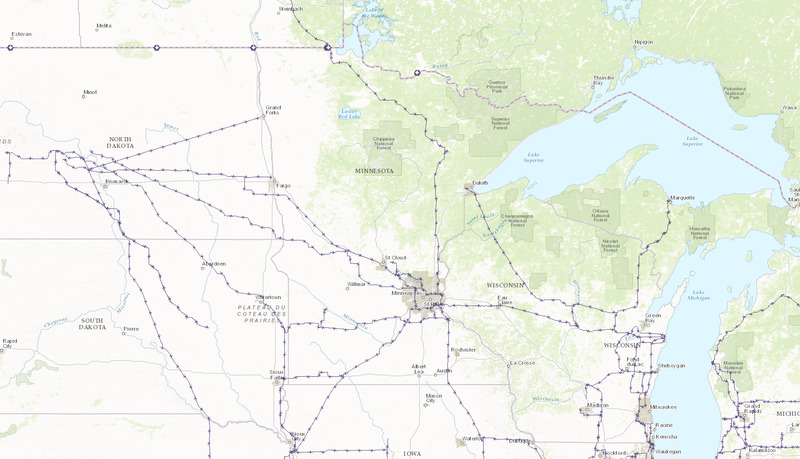 US Energy Information AdministrationA map of all the major electrical power transmission lines in Minnesota. Business Insider forwarded the new USGS study and map to the Minnesota Public Utilities Commission (MPUC), which regulates the state’s electricity industry, for comment. 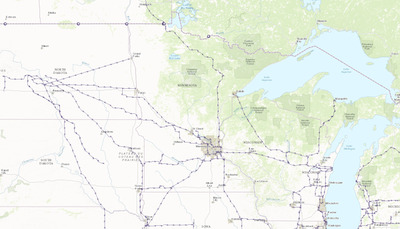 A MPUC representative declined to comment and instead directed us to contact the Midcontinent Independent System Operator, Inc. (MISO) — a nonprofit organisation that oversees high-voltage power grid infrastructure and reliability across Minnesota, 14 other US states in the Midwest (in whole and in part), and parts of Canada. We’re waiting to hear back from MISO. Rogers added that the utility is signed up to receive alerts about solar storms from NOAA’s Space Weather Prediction Center, then respond by keeping a close eye on the utility’s transmission infrastructure for voltage swings and rising transformer temperatures. He also said that while the new USGS research is “VERY useful for the entire electric industry,” no utilities can yet act on it. “Insofar as they were aware of some geoelectric hazards associated with Northern Minnesota, our analysis puts all of this into a broader continental scale,” Love said. While the electric industry catches up to the threat posed by the sun, the best we can do is hope the next solar storm misses our planet — one barely missed us in July 2012 — and try to prepare for the worst.